By Helen Ginsburg, Professor of Economics, Brooklyn College of the City of New York and Executive Committee, National Jobs for All Coalition, and Bill Ayres, Director, World Hunger Year and Advisory Board, National Jobs for All Coalition. The President and Congress try to outdo one another on who can cut the Federal budget deficit the most. But efforts to reduce the deficit at the expense of necessary social programs are unnecessary and counter productive. In fact, much of the recent reduction in the deficit is due to the decline in unemployment. According to the last Congressional Budget Office estimate of the impact of unemployment on the deficit,5 a reduction of unemployment by only one percentage point starting in January 1995 and sustained through fiscal year 2000 would have netted the government $415 billion over those six years. Most of that would come from increased taxes paid by more people working and greater business profits ($315 billion). The rest would result from less money needed for unemployment insurance and other social programs ($32 billion), and less money spent on interest payments to service the debt ($68 billion,$23 billion in fiscal year 2000 alone). Remember, this $415 billion is from only a one percentage point decrease in unemployment. The mind boggles when confronted by how much could be generated if we actually reached a level of full employment. Think of how that money could then be reinvested in our society to fund the education and training programs we need to raise more than a quarter of our citizens out of poverty and near-poverty, to eliminate hunger, rebuild our transportation systems, housing, and recreation areas, improve our environment and support working parents with child care. Every percentage point less in unemployment makes good economic sense by not only reducing the budget deficit, but also reducing the human deficit that we see in the economic insecurity, growing poverty, hunger, homelessness and crime that are tearing apart our society. We’ll get stronger families and an enhanced quality of life. Let’s have full employment and reinvest the savings into a more productive, livable society with Jobs for All! they’ll still be there when the recession is over. 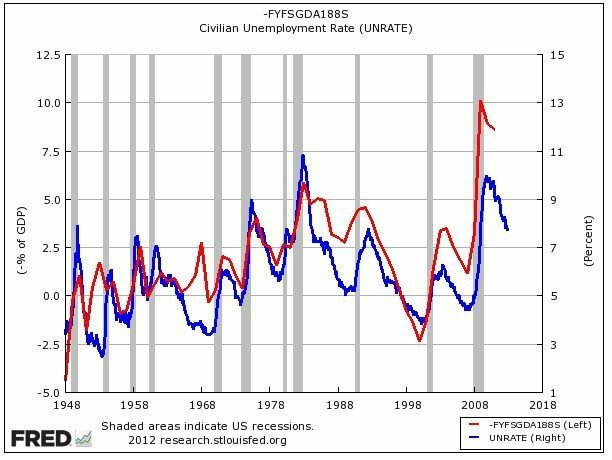 http://www.cbo.gov/publication/43903 Obviously, this target is far above which NJFAC and other supporters of full employment consider an acceptable level of unemployment. what the budget balance would be if we were at 5.5% unemployment, “high” employment, presumably the best the CBO considers that our economy can manage. 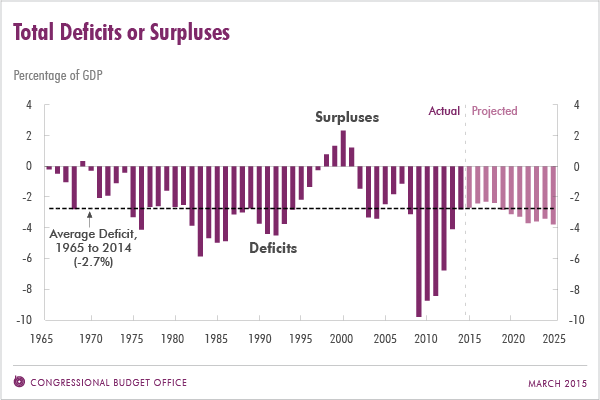 Congressional Budget Office, Economic and Budget Outlook: Fiscal Years 1996-2000 (Jan 1995). The CBO for years has made this estimate, but no longer does so. For further information about the deficit, see Sheila D. Collins, Helen Lachs Ginsburg and Gertrude Schaffner Goldberg, Jobs For All: A Plan for the Revitalization of America, New York: Apex Press. 1994. Chapter 10.